Spectacular form with unreal colours. 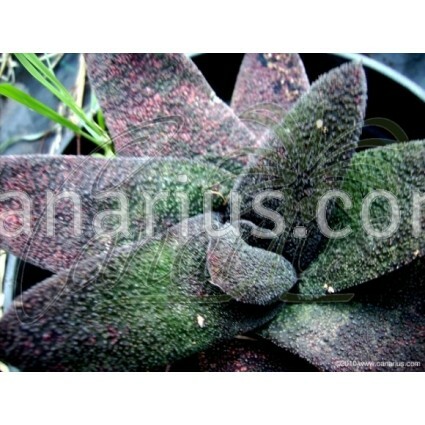 Leaves are mottled, dark green-pink-grey, covered by shiny bumps. Colour changes through seasons, according to light exposure. Spectacular form with unreal colours. Leaves are mottled, dark green-pink-grey, covered by shiny bumps. Colour changes through seasons, according to light exposure. 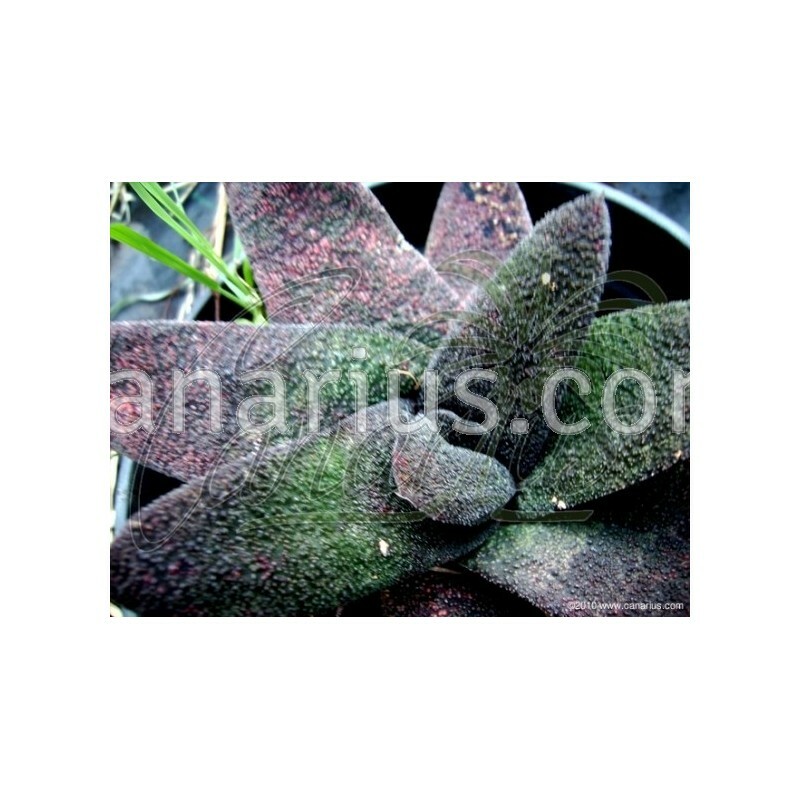 This form of Gasteria batesiana is native to the lower valley of Pongola. It is slow in producing pups and wild specimens are often solitary. We offer a well rooted rosette, at least one year old basal pup.